Creative advertising in pharma: the toughest role on Earth? After attending the recent Creative Floor Healthcare Awards, Paul Tunnah compares pharma and health company advertising to other industries and asks what role creativity has in an industry that is so founded on evidence-based medicine. Advertising in healthcare has always been a little bit different, particularly when it specifically involves the pharmaceutical industry, with all its regulations and caveats around not promoting drugs to patients. Then there is the whole argument around the ethical merits of deploying advertising techniques that are designed to trigger an emotive response within such an evidence-based industry. Meerkats might be fun for selling price comparison websites to the public, but they have no place in determining which medicine should be prescribed to a patient. Not simples, as one of the aforementioned critters might say. So awards ceremonies recognising the best creativity on show in healthcare advertising are always going to trigger mixed reactions, with the one I attended on 1 July being no different. Launched by the Creative Floor, the brainchild of Shaheed Peera (Executive Creative Director for Publicis Life Brands Resolute and spare time entrepreneur), this was billed as being ‘the toughest healthcare award show on Earth’, seeking to bring the same kind of creative scrutiny to judging as you might see beyond our slightly conservative healthcare world. By and large, it succeeded, with several categories being loudly announced (from within a boxing ring by a compere who would have looked at home refereeing the latest heavyweight world title fight) as having ‘no winner’, as none of the entries met the judges’ strict standards. But beyond the celebration (or not) of healthcare creativity, some of those aforementioned reservations surfaced on a Twitter exchange I had with a remote observer. I’m anonymising the observer for the sake of this article, as it’s kind of irrelevant, but anyone interested can peruse my Twitter stream to see who it is if they’re really keen. However, what I would say about them is that it is an excellent question (and thank you to them for raising it), but one without a simple answer (hence the limited exchange on Twitter). It’s a debate that cuts to the very heart of a much broader discussion that could equally be applied to much of the digital engagement being done within healthcare, as well as the on- and offline advertising witnessed at this awards. Namely, that it might be really creative, funky and cutting edge, but what is the return-on-investment (ROI) for it commercially? This point was raised by one of the (winning) agencies and is invariably true in many cases, with pharma clients in particular being cagey about sharing too much. So it’s a valid argument for the difficulty of judging awards based on ROI, but doesn’t go much further. Again, this has some merit when applied to, for example, corporate social responsibility (think creativity promoting free anti-malarials in the developing world), but could only be used as a valid retort for a small minority of campaigns. Now we’re getting on to the meat of the genuine arguments. Here, the position is that the creative campaign is commercially orientated but about much more than simply selling more product. Think of a campaign to raise awareness of a particular disease, driven by a pharma company. It’s going to be really hard to measure direct product sales from such a campaign, as the intention is ‘market expansion’, in commercial speak. But if the consequence is more diagnosis, leading to more treated patients then surely that is a win for all … including the creativity on show. For me, this is one of the most important arguments. Sometimes a really creative campaign is run, which is so different to anything anyone has done before, that it is impossible to predict the ROI. In consequence, sometimes these work (on an ROI level) and sometimes they don’t. But this most creative, different and brave form of advertising always garners attention and at least makes other companies think that maybe there is a better way of doing things – that maybe being experimental is sometimes OK. Isn’t this how positive innovation truly happens – in advertising and everywhere else? I’m sure the debate on the value of creative advertising in healthcare will run and run (and should), but I leave you with one example of a real life story. A few months ago, I was travelling on the train into London and reading my free copy of Metro. In perusing the usual stories, one full-page advert caught my attention and made me stop and think. It was a picture of what appeared to be a fuzzily drawn boy, with the slogan underneath ‘Ataxia. It’s like Multiple Sclerosis ganged up with Parkinson’s and played a dirty trick on Cerebral Palsy’, as shown above. Shock tactics perhaps, but it caught my attention. So much so, that I took my phone out, took a picture and openly Tweeted it to an ataxia sufferer who campaigns for greater awareness. He was thrilled I had noticed, as I’m sure many others did. Was there substantive financial ROI for Ataxia UK on this campaign? Probably not. But did it make more people aware of Ataxia as a disease? Almost certainly yes. It was also one of the winners on the night at the Creative Floor awards. Let’s keep this important debate going. But let’s also remember that in our industry, in particular, creative advertising should be about more than financial ROI and just selling more drugs. Click here for more information on all the winners from the 2014 Creative Floor Awards. 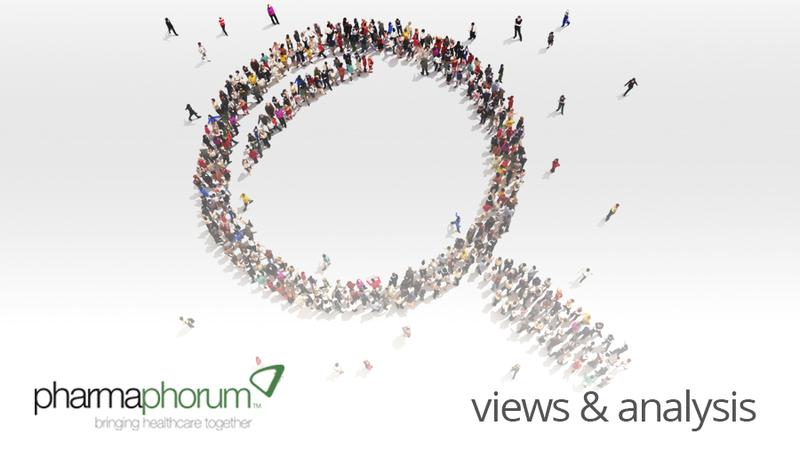 Have your say: What role for creative advertising in healthcare?